South Louisiana is a great place to not only live and work, but also to retire – and our client roster reflects that. 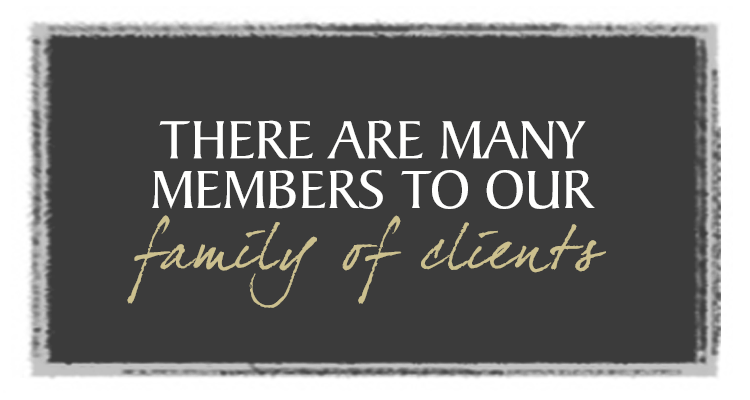 The clients we serve include business owners, professionals, executives, retirees and people approaching retirement. While their needs vary, one constant is that we have the knowledge and experience to address them all. There’s no bigger stage of your life than retirement. It requires years of planning not only before but also during retirement. Our goal is to help you be well prepared for the day you step away from your career or business, and to help you maintain your comfortable lifestyle for the years that follow. If you are approaching retirement, we can help you identify your needs and wants, and determine how much they’ll cost. We’ll then help you see if you have accumulated enough money to support them. If we think you need to work a few more years, we’ll be candid with you. Once you do retire, we can help you have a steady stream of income by creating a plan for sustainable withdrawals designed to help make your money last your lifetime. We can also develop an estate plan so you can someday leave a legacy for your loved ones. The important thing to remember is that we’re here for all of your retirement needs, today and throughout your lifetime. You know all about hard work and commitment. It’s only natural you want someone with that same dedication and understanding when it comes to getting the financial guidance you need to run and grow your business, professional office or practice. We understand the challenges you face and recognize that your needs are unique. Working as a partner in your success, we’ll take the time to understand your goals and address important needs such as asset preservation, cash management, 401(k) retirement plans, insurance, financing and succession planning. The rewards of providing uncommon vision and leadership can be significant, but with them often come unique challenges and risks, such as highly concentrated stock positions. We can help you with many different executive transactions, including employee stock ownership plans, cashless stock option exercises, rule 144 executions, 10b5-1 sales plans and hedging and monetization for concentrated equity positions. In addition, we can assist with corporate solutions such as share repurchase programs, corporate cash management, executive benefit platforms and retirement programs. In 1937, the first Louisiana offshore oil field was discovered in a place aptly called the Creole Field. Today, folks say that the Gulf of Mexico accounts for about a quarter of the total crude oil production in America.